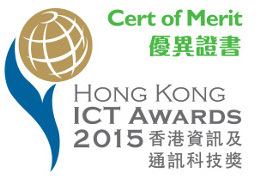 We are very proud to announce that we have achieved Hong Kong Information & Communications Technology (ICT) Awards and Hong Kong Awards for Industries in 2015. 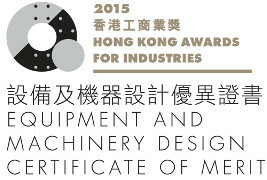 Ackuis Technology Limited was founded in 2012. Our Company focuses on improving the technology in industrial automation. We aim towards providing the best and innovative solutions that will change with way manufacturing companies operate. We make every effort to assist manufacturers to improve their production process in order to improve quality, increase productivity and efficiency. We specialized in the development of industrial data acquisition and control systems to equip industries with facilities to gather and process data, and perform control actions right from a centralized location without actually going to the plant. Our Industrial Equipment Cloud Monitoring System is a cloud-based solution, which is designed to collect and use the production data to improve operations by providing manufacturing intelligence, system maintenance and production traceability function. Data is acquired by our connector device and accessible by a cloud server for data analysis and system control. It is capable to integrate with different automated systems within the environment without geographic constraint. Ackuis aims to drive manufacturing technology to the next level, enhancing productivity and efficiency at a low cost, reducing the requirement for hands on work, and working towards fully automated systems. Ackuis comes from the words “accuracy and integrity”, we uphold the concept of accuracy and integrity to provide our customers with sound and reliable solutions. Our goal is to provide the highest quality products and services to our customers, in a one-stop service with complete satisfaction to our customers and to ensure favorable return on their investment.